In this study, food requirements and digestive physiology of fish larvae were investigated to provide possible solutions to slow growth, low survival and high deformity in larval fish rearing. Environmental factors such as temperature, oxygen and light are important to fish development and nutritional requirement. Particularly, inappropriate temperatures can delay fish development, induce morphological deformity and mass mortality, and optimal temperatures are recommended. 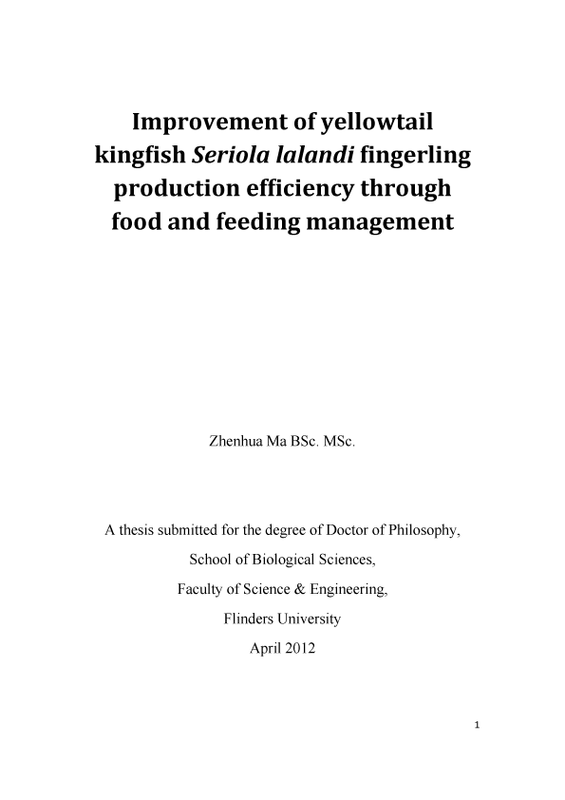 The author also reports on live food selection, feeding frequency and the performances and times of fish weaning to formulated diets.